Ann Downer | Exploring real and imagined worlds. Come along! Exploring real and imagined worlds. Come along! Tiburoncito: Shark Baby en Español! Image credits for Elephant Jeopardy! The Case of the Vanishing Honeybees: A Scientific Mystery. By Sandra Markle. 2013. illus. Millbrook, $29.27 (9781467705929). Gr. 3–6. Farmer Will Allen and the Growing Table. By Jacqueline Briggs Martin. Illus. by Eric-Shabazz Larkin. 2013. Readers to Eaters, $17.95 (9780983661535). Gr. 1–4. Flight of the Honey Bee. By Raymond Huber. Illus. by Brian Lovelock. 2013. Candlewick, $16.99 (9780763667603). PreS–Gr. 2. It’s Our Garden: From Seeds to Harvest in a School Garden. By George Ancona. Illus. by the author. 2013. Candlewick, $16.99 (9780763653927). K–Gr. 3. Parrots over Puerto Rico. By Susan L. Roth and Cindy Trumbore. Illus. by Susan L. Roth. 2013. Lee & Low, $19.95 (9781620140048). Gr. 2–5. Picture a Tree. By Barbara Reid. Illus. by the author. 2013. Albert Whitman, $16.99 (9780807565261). PreS–Gr. 1. Planet Ark: Preserving Earth’s Biodiversity. By Adrienne Mason. Illus. by Margot Thompson. 2013. Kids Can, $18.95 (9781554537532). Gr. 3–6. The Tapir Scientist: Saving South America’s Largest Mammal. By Sy Montgomery. Illus. by Nic Bishop. 2013. Houghton, $18.99 (9780547815480). Gr. 5–8. The Tree Lady: The True Story of How One Tree-Loving Woman Changed a City Forever. By H. Joseph Hopkins. Illus. by Jill McElmurry. 2013. Simon & Schuster/Beach Lane, $16.99 (9781442414020). Gr. 1–3. The Next Big Thing Is…..
Urban wildlife! I’ve been tagged by Shennen Bersani on this blog tour, which originated in Australia and has been surfing its way around the intertubes. I’m blogging today about my forthcoming book, out this fall from the Twenty-First Century Books imprint of Lerner Publishing Group. What is the working title of your new book? From my previous book, Elephant Talk: The Surprising Science of Elephant Communication. I was drawn in to the problem of human-wildlife conflict, detailed in the “Gods and Monsters” chapter of that book. Elephants come into conflict with people as humans encroach on their habitat. In Kenya, there is violent conflict between farmers and elephants. In Thailand, out-of-work mahouts and their elephants end up begging on the streets of Bangkok. I wanted to explore urban wildlife beyond the species that first come to mind (raccoons), to think of all the ways our modern way of life poses challenges for wildlife. Nonfiction for 10-18 year olds. Ours is an urban planet, and we have to learn to share it with our wild neighbors. The Twenty-First Century Books imprint of Lerner Publishing Group. The initial research and writing took about a year. What other books would you compare this story to within your own genre? I’d hope it rises to the level of Sandra Markle’s The Case of the Vanishing Yellow Frogs: A Scientific Mystery (Millbrook Press, 2012), also from Lerner, in its presentation of science and the way scientists study wild animals. It’s less like Julie Feinstein’s fine book, A Field Guide to Urban Wildlife: Common Animals of Cities & Suburbs and How They Thrive (Stackpole 2011). 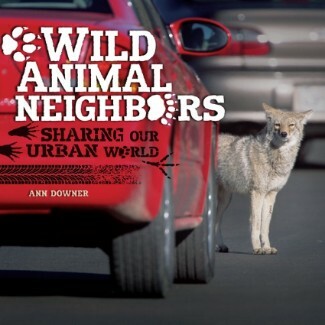 Wild Animal Neighbors is more global in its scope. In each chapter of my book, I cover the challenges faced by one species in a particular city, highlighting one issue, such as habitat loss, habitat fragmentation, or light pollution. I think Julie’s book and mine complement each other. Better together, as a certain online bookseller says. In my former life as a science editor at a university press, I signed up biologist Stephen DeStefano to write a book on urban wildlife for adults, called Coyote at the Kitchen Door: Living with Wildlife in Suburbia. That book, and learning about human-wildlife conflict in Asia and Africa, inspired me to write about the many varied ways wildlife can be urban. My own childhood included some years in Southeast Asia, where urban and suburban wildlife included reptiles like geckos and tokay lizards. I once found an ant’s nest inside my bedroom curtains! Urban wildlife might summon up images of familiar city species such as cockroaches, rats, pigeons, and raccoons. But in other parts of the U.S., urban wildlife can mean sea turtles, alligators, even mountain lions. And in Australia, giant bats! You can follow Wild Animal Neighbors on Facebook, and Citycritter on Twitter. Teachers, are you looking for ways to use nonfiction in your classroom to meet the new Common Core standards? Want high-interest nonfiction to improve students’ nonfiction literacy? Check the book’s page on the Lerner website later this fall for free eSource materials for use in the classroom. Now it’s time for me to tag two more people, both author-illustrators and amazing people! 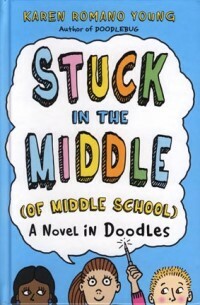 First up is writer and doodler and experimenter extraordinaire Karen Romano Young, who will blog July 4 (or thereabouts) about her latest book, Stuck in the Middle (of Middle School): A Novel in Doodles. It’s a sequel to her 2010 book, Doodlebug. 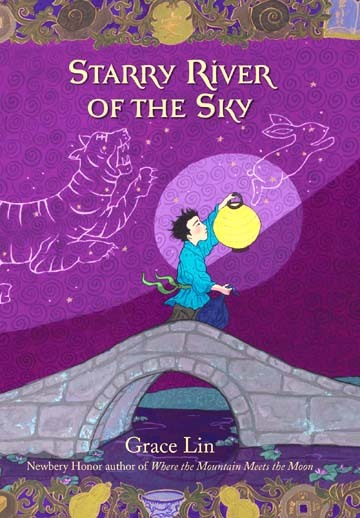 On July 11, Grace Lin will blog about her latest book, Starry River of the Sky, already garnering rave reviews. It’s the sequel to her Newbery honor book, Where the Mountain Meets the Moon. We’ll be doing a mix of reading, signing, crafts, and natural history presentations at each location. Stay tuned for more details, and see Shark Baby‘s page on the publisher’s website for much more information and free goodies. Whatever happened to Theodora and Wycca, Gideon and Iain, Dr. Naga and Vyrna? The sad story is that the publisher decided not to publish a third book in the Hatching Magic series. I have been working on a third book and, who knows, it may yet see the light of print. But not any time soon. I have moved on to other things, mostly nonfiction: Elephant Talk, Shark Baby, and Wild Animal Neighbors. You can learn about those books by clicking the tabs above. And there are other fiction projects that I hope turn to soon. I wish I had something more positive to report to all of you who have written asking about Hatching Magic, book 3. Your interest and palpable love for the characters means more to me than I can say. Or the summer, for that matter? It went by in one long whooooooooosh. I’ve been busy with my science editing business, writing museum exhibit copy, and finishing up my latest book for Lerner Books, Wild Animal Neighbors. Due out in Fall 2013, it tells the stories of seven different animal species in different cities across the U.S. and on the other side of the world. Stay tuned for more news about that, or follow my Citycritter feed on Twitter. Meeting deadlines means that I finally had a chance to update this very neglected blog. You’ll see a new design, and a new tab above for Wild Animal Neighbors. There are also new goodies under the Shark Baby tab—links to identifying shark egg cases, a sneak preview of the art, and more. Since that book is being released in Spanish, I hope to add some Spanish-language resources. I’ve been invited to take Elephant Talk on the road, up to Hope, Maine, and I plan to visit aquariums up and down the East Coast to promote Shark Baby. In the meantime, you can friend Shark Baby over on Facebook. Last week I promised to post the list of Great Summer Reads for ages 8 to 12 that I put together for a panel at my local library. This is part one–books, mostly fantasy, that I loved both as an 8 to 12 year old and later, as a library page who should have been shelving in the Children’s Department of the Mary Riley Styles Library but was too often idling by her heavily laden book cart, deep in a new discovery. Everyone knows Harriet the Spy. But the better book, I think, is the overlooked sequel, The Long Summer. One of my very favorite authors. These are characters you really want to spent time with, or move in with! The Time Trilogy, beginning with A Wrinkle in Time, and the other series about the O’Keefe and Austin families, including The Arm of the Starfish, Dragons in the Waters, and A Ring of Endless Light. Beyond category, but if you must have one, mystical science fiction. All kinds of Lilliputian wonderfulness. Recommended for fans of Mary Norton’s Borrower books. Ambitious readers could tackle The Once and Future King, the Arthurian retelling that starts with The Sword in the Stone. What Will Your Kids Be Reading This Summer? Photo courtesy Built by Kids/Princeton Tec. 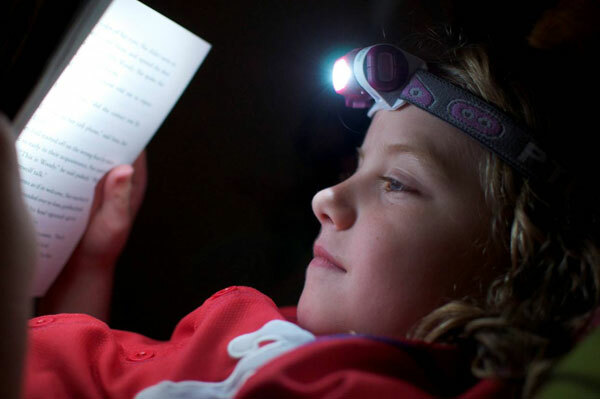 Visit builtbykids.com for a link to this cool headlamp, and for instructions for making a nifty A-frame tent for reading indoors. Looking for titles to add to the stack of summer reads for your 8- to 12-year-old? Come to a panel this Monday, June 4, at 7pm at the main branch of the Somerville Public Library and listen to me and the other panelists riff on great summer reads, old and new. There will be cool bookish swag from the fine folks at Candlewick, and book lists from each of the panelists (homeschooler Tammy McKanan and Horn Book reviewer Cindy Ritter) for you to take home at the end of the evening’s discussion. My list will include my own favorites from deep time (getting deeper all the time! ), titles my family enjoyed together, as read alouds or audiobooks during our “read together” years, and books my son is enjoying now as a 12-year-old bookworm. Can’t make the panel? No worries. I’ll be posting my own list here after June 5. 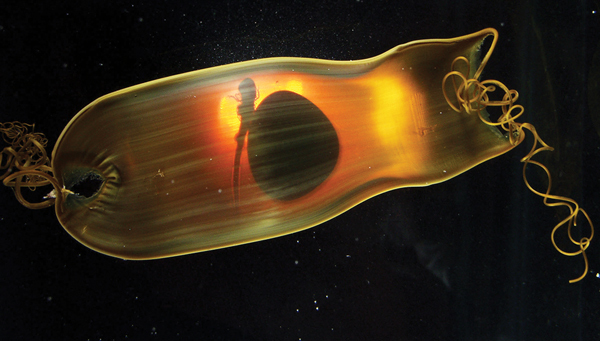 A swell shark egg case. Photo courtesy of Aquarium of the Pacific. Who’s hatching from this egg case? SHARK BABY! I’m happy to announce a new project with the folks at Sylvan Dell, a picture book with the working title SHARK BABY. This is very exciting, not just because it will be my first picture book with an illustrator, but because Sylvan Dell will publish in both English and Spanish and in both print and electronic editions. Readers of my blog over at Science + Story will know I’m a big fan of these amazingly adapted, diverse, ancient survivors. But these magnificent animals are under siege all over the world, and it’s my hope that SHARK BABY will help sharks win new fans among young readers and their parents. I have big plans for SHARK BABY, so stay tuned! If you’ve been following me over on Twitter as Elephantweet, you may have wondered where I’ve been lately. That’s because I renamed my Twitter feed CityCritter, to reflect my new work in progress on urban wildlife. So follow me as CityCritter, and tell me what wild creatures have moved in next door where you live. Wish you were here. Don't try this with your Kindle, folks. Summer reading to me brings back memories of Seafront, the U.S. Embassy compound in Manila where we lived for part of my childhood. I spent a lot of time padding into the small library (bathing suits were allowed, so long as you weren’t still dripping, and had your flip-flops on) to find a new book. After staying in the pool until I was well waterlogged, I would flop on a towel and disappear into a book, turning the pages with wrinkly fingertips. A lot of this poolside reading consisted of series books: Nancy Drew, Bobbsey Twins, Cherry Ames, the Boxcar Children. I also have memories of books I found in the bookcases of my relatives. My family would return to the U.S. every few years to visit family. The books I remember most were in the bookcase of the room where I slept in at my grandparents’ house in Connecticut. Each time we visited, I would reread WE TOOK TO THE WOODS by Louise Dickinson Rich. Coming from our posting in Southeast Asia, her tale of life in the Maine woods was somehow exotic. I couldn’t get enough of it. Now my family is preparing to fly to California to hike in Yosemite, and our luggage is bursting with books: novels, nonfiction, bird and wildlife field guides, graphic novels. I am packing four mysteries and a nonfiction book, my husband a single long novel about Vikings. Our 11-year-old son is dithering about what books to slip into his carry on and which to pack. Experience tells me we may come home with even more books. We tend to brake for book stores. I’m happy that ELEPHANT TALK has made some summer reading lists, especially the list of my own library here in Somerville, Mass., and the Summer 2011 list of Science Books and Films, where I get to keep some fabulous–and humbling–company. 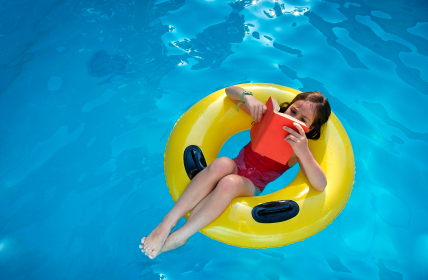 Please share your own your summer reading memories. Do you tend toward fiction or do you mix it up with nonfiction and biography? What books would you stock in a bookcase in lighthouse by the sea? In a tree house? For a trip in a hot-air balloon? Share below. And happy reading.